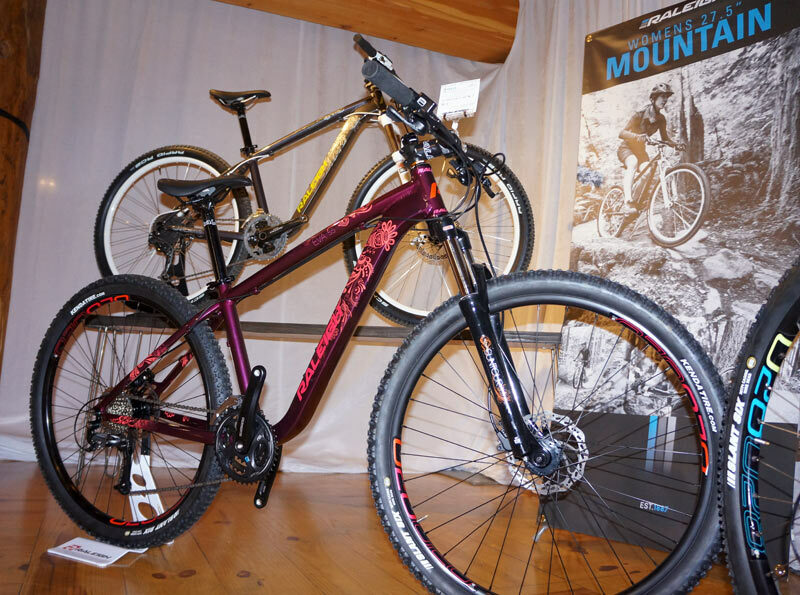 This past DealerCamp set the stage for the unveiling of Raleigh’s 2014 line. DealerCamp, a bike industry event that takes place at Deer Valley Resort, is an exciting time. Dealers, consumers and media all come to get a glimpse into what 2014 will bring to the cycling world. There are extravagant displays, epic amounts of schwag and catalogues galore, but they only magnify the excitement that these shiny new toys bring. 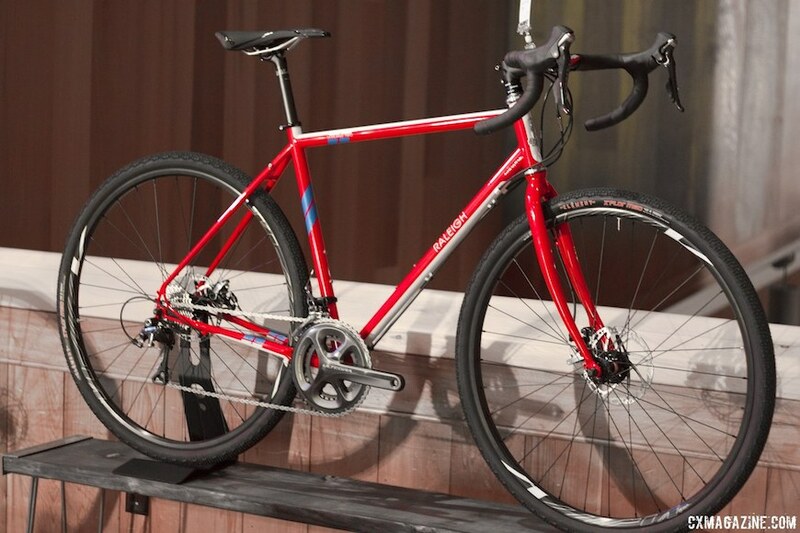 Ears perked up and eyes widened as Raleigh wheeled its shiny new 2014 line on stage. In addition to new colors and updates to its sleek line of road, mountain, cyclocross and hybrid bikes, its two new categories, gravel and 27.5 mountain bikes, are what stood out the most. Gravel riding is a new discipline on the rise, which consists of long, often multi-day rides over gravel, dirt and other various types of rough roads. The ideal bike needed to be stable, comfortable and efficient. Previously, these types of rides have been done on mountain bikes, which are relatively slow, or on road bikes, which are not very stable on the bumpy roads. Raleigh created the Tamland series to address these issues, creating the optimal gravel machine. The Tamland has a longer wheelbase, lower bottom bracket, slacker head tube and wider tires than the typical road bike, but has larger, faster rolling wheels and better geometry than a mountain bike. Those adjustments make for a much more stable and agile ride, built on beefy road-sized wheels. The Tamland is built of steel because of its highly durable and supple characteristics, which makes for a smoother and more dependable ride than aluminum. The Tamland is a versatile beast that is a great tool for a broad spectrum of cycling. Whether used for cyclocross, touring, commuting, cruising or its original intent for gravel riding, the Tamland will not disappoint. The Tamland is offered in two different builds ranging from $1,600 – $2,400. One prominent trend taking 2014 by storm is the emergence of 27.5-inch wheels. Created to fill the void found by those wanting the advantages of a larger 29-inch wheel, but looking for the agility and fit of the traditional 26-inch the wheel, the 27.5 was born. Larger wheels give riders the advantages of additional traction with its larger circumference, added stability due to a lower position of the riders and a longer wheel base. The larger wheels also have a lower angle of attack, which means that the larger wheel will roll over the same obstacle with more ease, allowing for a smoother ride. With that said, the downside of 29-inch wheels is the awkwardness of the huge wheel and the fit for smaller riders, hence the popularity of 27.5 wheels. Raleigh was quick to embraced the new midsize wheel and created two hardtails for the 2014 season: the Eva 27.5 and the Tokul. The Eva 27.5 was based on the previous year’s Eva 29, but the 27.5 offers ladies a better fitting and more agile mountain bike option. The aluminum frame features women-specific geometry that was based off of a database of all female bike fittings to get the best design possible. The graphics of the frame were also chosen by a panel of female riders, the bike is garnished with women-specific saddles and the handlebar widths and stem lengths are there to ensure a stylish and comfortable bike. Raleigh spec’d the Eva 27.5 with wider 28mm rims that increase the tires’ contact patch, yielding more traction and giving new riders more confidence through tight corners. The Eva 27.5 is offered in four different builds and price points, ranging from $550 – $1,100, giving ladies an amazing fit and ride quality at a great value. Raleigh leaped head first into the aggressive trail bike realm with the all new Tokul. This Chromoly hardtail was designed to meet the needs of bike-specific trails that include jumps, berms, roots and rocks. 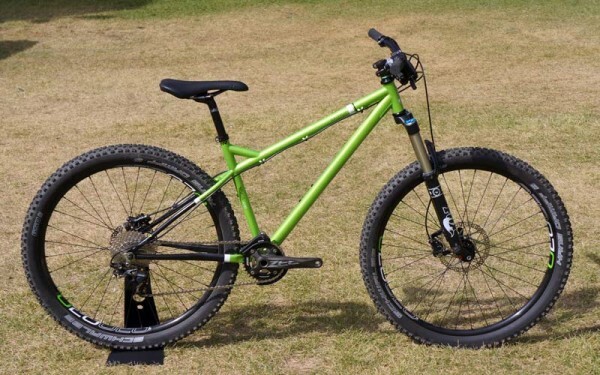 The Tokul’s geometry optimizes trail performance and handling with short chainstays, a low bottom bracket height and a slack head tube angle, making it an extremely responsive and playful bike. Raleigh spec’d the higher end Tokul 4130 with wide handlebars, a short stem, a 1X10 drivetrain with an MRP All Mountain Chain guide, Schwalbe Has Dampf tires and a Fox 32 Float CTD 130mm front fork. This bike is meant to be ridden hard and aggressively. The Tokul is offered in four different builds, with three models built from aluminum and the higher-end Tokul 4130 with a steel frame. Starting at $1850, the Tokul will be turning heads and inducing smiles for any trail rider looking for a good time.